Dubai is the name of both an emirate and a city in the country United Arab Emirates (UAE) which is in the Middle East. Dubai City is occasionally used to distinguish between the city and the emirate of Dubai but most of the time people just say Dubai to mean one or the other and it hardly ever matters. 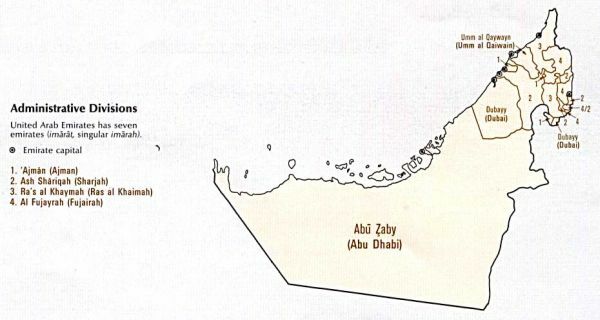 Jebel Ali Port and the Jebel Ali Free Zone are part of Dubai the emirate, and merge with Dubai the city to the south-west. There was a Jebel Ali Village on the Jebel Ali hill but that is expiring to make way for a new development by Nakheel. Outside the city of Dubai, Hatta is the next largest town in the emirate of Dubai, about 100 km towards the Omani border from the city of Dubai. Neighbours of Dubai and the UAE are Oman, Saudi Arabia and Qatar. 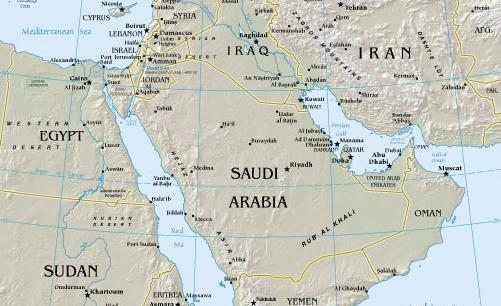 Across the Arabian or Persian Gulf are Iran and Iraq. Apart from a wee territorial spat with Iran over the islands Abu Musa, Greater Tumb, and Lesser Tumb, it's a sunny and friendly neighbourhood to reside in. Relatively. Dubai is not the capital of the UAE. However, the Dubai marketing machine has significantly raised its profile around the world and many residents of other countries are quite likely to be more familiar with the name Dubai than they are with the UAE (the country), or Abu Dhabi (the capital city and the largest emirate). A common reason for asking where Dubai is, is concern over its proximity to volatile areas of the Middle East. Most residents of Dubai feel very safe despite being close to Iran and Iraq. A little further away are Israel, Lebanon, Palestine, Syria and Yemen but once people have visited the UAE, they tend to be much less worried about where Dubai is. www.dubaifaqs.com/where-is-dubai.php (PDF and print version).